1919. 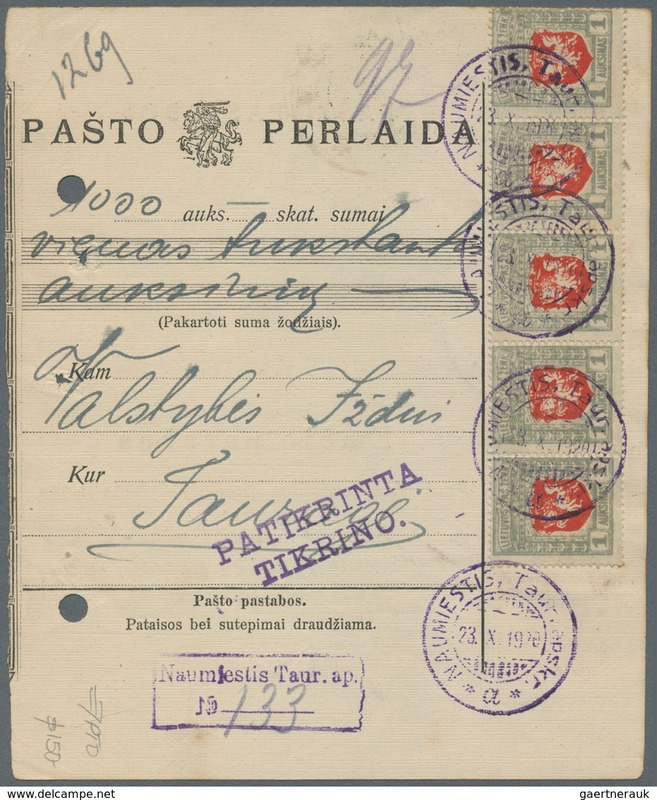 MONEY ORDER (PASTO PERLAIDA), black/old white form, for the sum of 1,000A, franked 1A red and gray (SG 58c, two horizontal strips of five, one at front, one at reverse), tied by six strikes of “NAUMIESTIS. Taur. apskr, 23.X.1920”, boxed “Naumiestis Taur. ap/ No” with manuscript no. 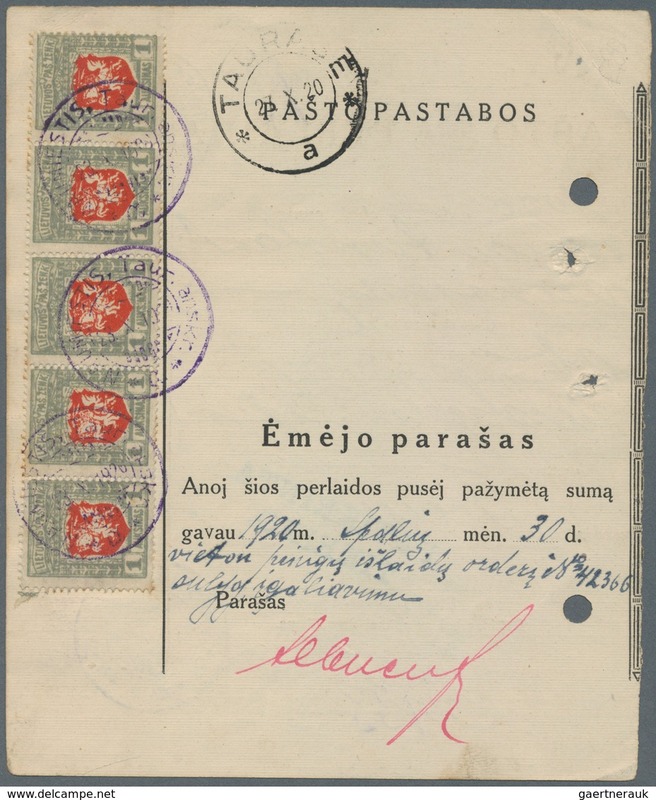 “133” and two line “PATIKRINTA/ TIKRINO” cachet, at back “TAURASE/ a/ 27.X.20” arrival and recipient signature.